Even though it has been a while since I have been to Venice, I continue to go back to my images from then and see one that resonates with me. This is one of those images. We stayed in the Hotel Monaco, which is located on the Grand Canal waterfront just steps from St Mark's Square. It is a very popular tourist destination with St Mark's Basilica and the Doge’s Palace as main attractions. What I loved most about the location was the ability to be so close to the waterfront at sunrise and sunset. This view across the Grand Canal was shot in the late evening, just before sunset. 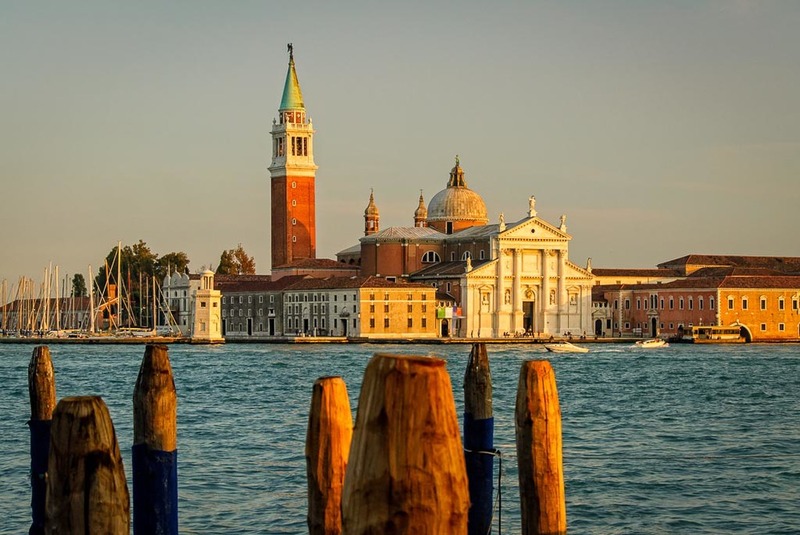 It features San Giorgio Maggiore, one of 188 islands that make up Venice. The buildings shown in the image are part of both the San Giorgio Monastery (built in 982) and the Church of San Giorgio Maggiore (built in 1566). The fading light gave the buildings a wonderful glow.